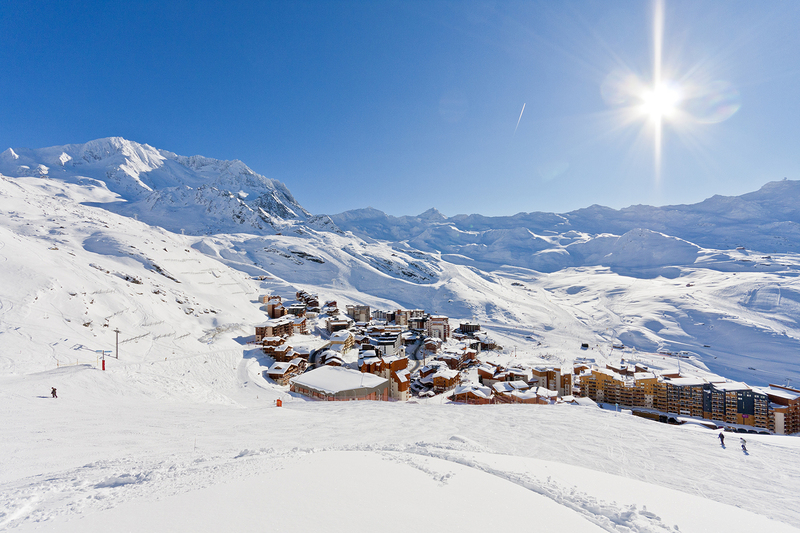 SKI FACTS: Val Thorens is Europe’s highest Ski resort and is linked to Les 3 Vallées. In 2017 Val Thorens won the World Ski Awards ‘World’s Best Resort’ for the fourth time. As one climbs the road past Saint Martin de Belleville and Les Menuires, the terrain and vegetation change. There seems to be a lack of the familiar Alpine firs and pines as one travels above the tree-line into the rocky high Alpine mountain terrain. This is skiing on a whole new level, literally. 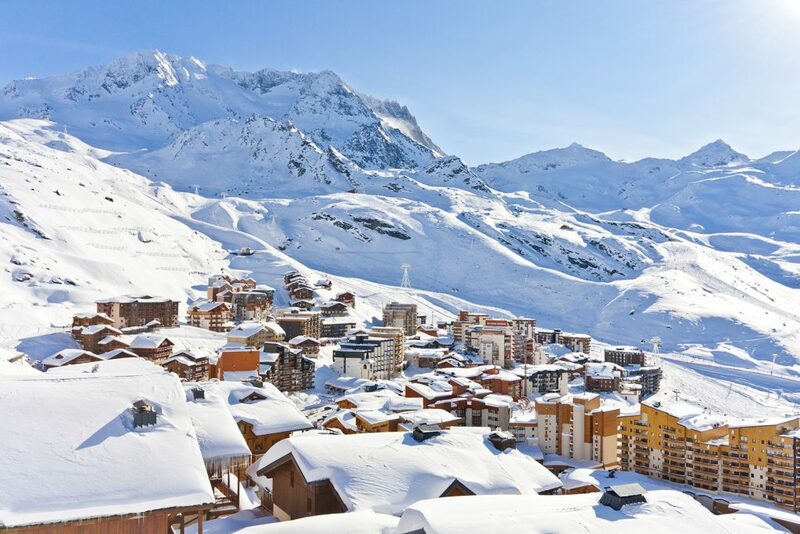 The way Val Thorens is build into the mountain side with no trees makes it feel like a settlement on the moon. 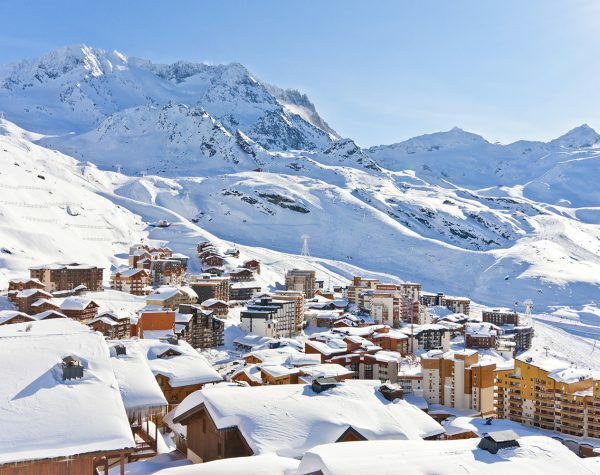 The town was originally built in the 70s, and whilst the 70s may have not been renowned for its beautiful architecture, the buildings are not too bad in Val Thorens. It may not be the most picturesque Alpine town but there are plans to improve the shopping area and general look of things, and there are also plans afoot for a brand new sports centre. Amongst the hotels there is something for everyone, from apart-hotels to luxury apartments and 5 star hotels. I was particularly enamoured with the uber designed and very well positioned Hotel Pashmia with its 1 star Michelin restaurant Les Explorateurs. As for entertainment, Val Thorens boasts the largest nightclub in the whole of the Alps with the underground Malaysia night club. If looking for some fine dining then head over to Alta Pura, the buffet style dinner is spectacular, for more traditional rustic Alpine cuisine then I recommend La Pause. 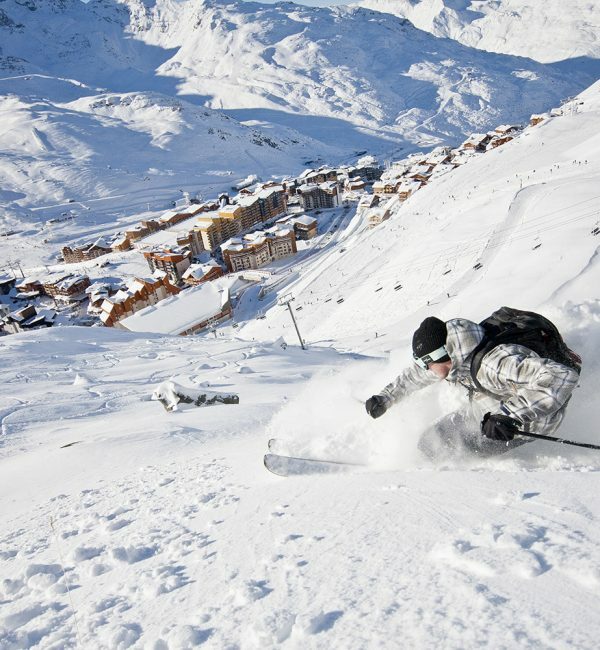 It goes without saying that Val Thorens is very snow sure due to its height. If there is no snow in Val Thorens then it is highly likely that the Apocalypse has hit and you have other things to worry about. 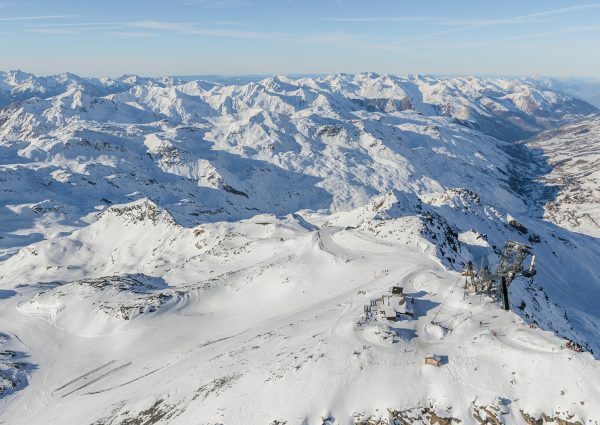 Due to being under 50 years old the resort is well planned out, Val Thorens has invested a lot in its lift system which is super fast and very modern. Most of the time I would jump on a lift have a quick convo with my buddies and be at the top in no time at all, this of course results in more time sliding back down the mountain… music to my ears indeed. 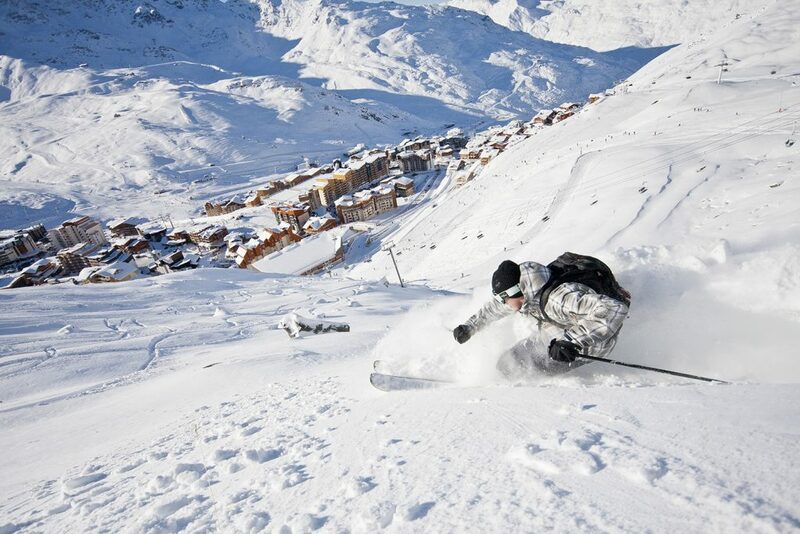 The Ski in/Ski out nature of Val Thorens also means being able to jump straight out of bed and into your skis too! There is no tree-skiing, so if the weather does turn and the clouds come in, make use of the time by improving your ski legs in the white out. 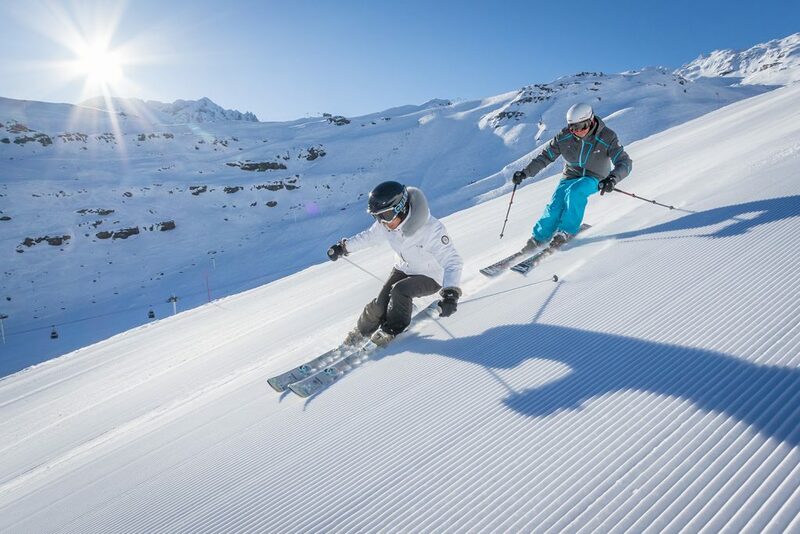 One tip… quite a few pistes join up at Val Thorens resulting in a bit of human traffic, so bring your speed down and keep your whits about you. If looking for an instructor with good knowledge of the area, ask for Bernard Deves of ESF, he has been since the beginning and knows the place better than the back of his hand! 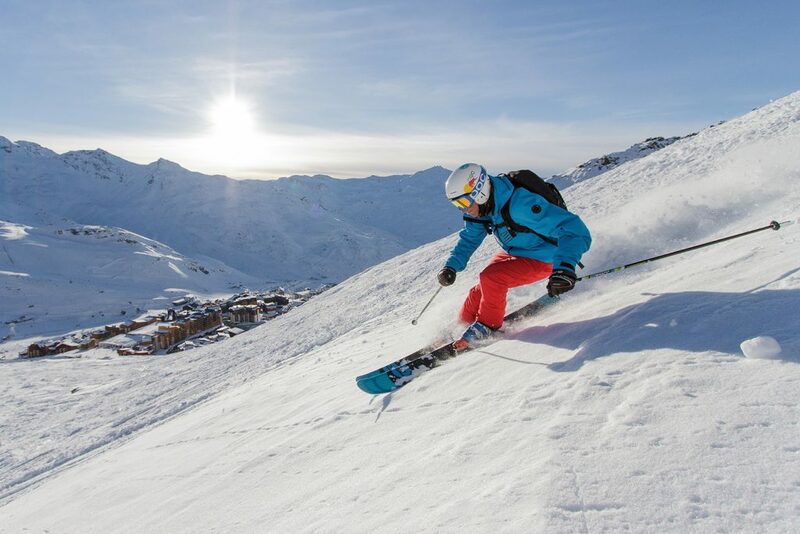 With 11 green and 33 blue slopes, Val Thorens is a great place to start one’s ski career, with the green pistes centred around the town and the blues spreading out into the mountains allowing for some exploration. There are also four magic carpet lifts for beginners which are totally free to use. Intermediates will be in their element here, perfect snow snow conditions and endless pistes when combined with Les 3 Vallees. Some particularly good pistes to check out are Mauriennaise from Col de Rosael down to Plan Bouchet, and Le Blanchot and Tetras are a lot of fun to carve your way down. 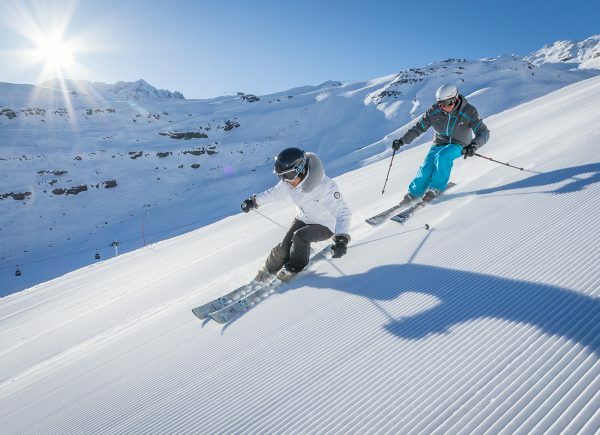 The more advanced skier will cover a lot of miles in this area, some of the pistes are so much fun one will want to put them on repeat again and again. Most of the black pistes are to be found high up near the Cols such as Combe Rosaël or Combe de Caron. I found myself grinning ear to ear when flying through thick fresh snow on Boismint. With six glaciers in the area, and several stunning peaks like Cime de Caron to start from there is plenty when it comes to freeride. 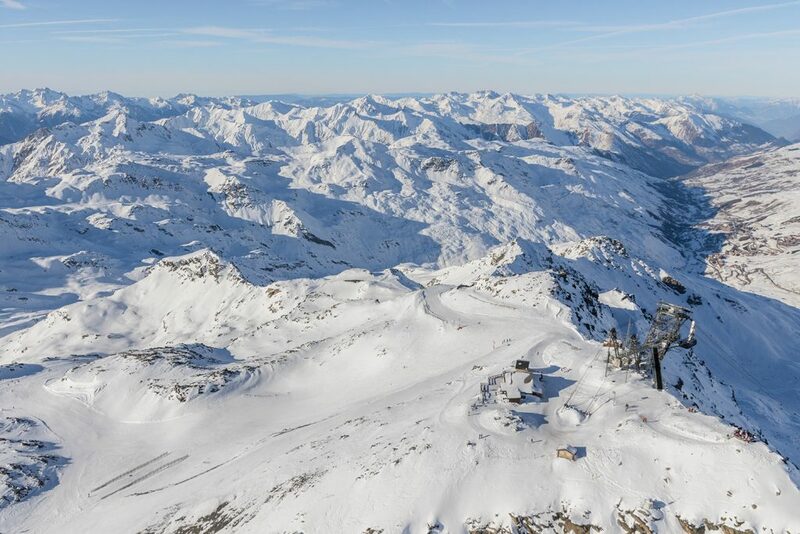 Due to the altitude the snow and wind can create difficult or dangerous conditions, so it is worth taking a guide to show you the best of what Val Thorens has to offer. I recommend the instructor Maxime Goby from Prosneige, he will show you the best skiing and make you laugh along the way. 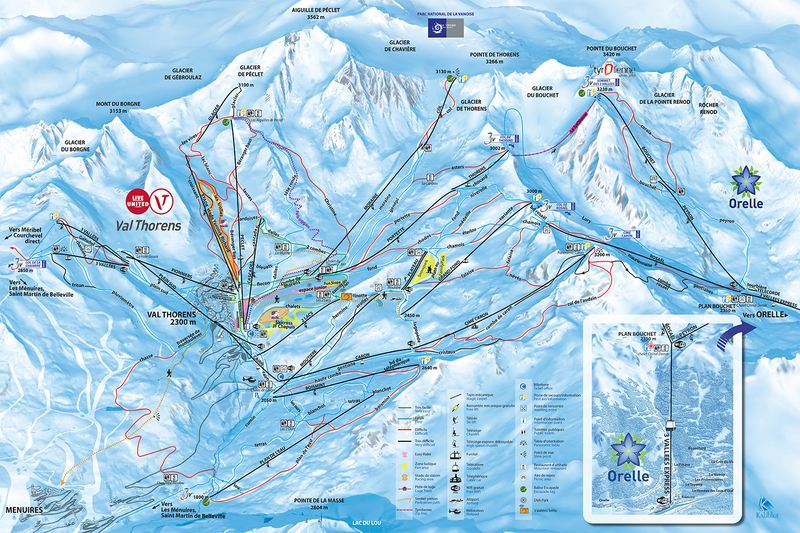 Lift system 30 total – 9 cable cars / 15 Chair lifts / 6 Drag lifts & Magic Carpets. To be honest, every piste I skied in Val thorens put a smile on my face. There seems to be something about the way they are set up that just makes them a pleasure to ski. Though I must say that I did enjoy the Mauriennaise, the Boismint and my final runs back to the hotel below the Glacier De Péclet, which were always a great way to complete the day. Obviously one needs calories when skiing at this altitude to keep energised and warm. There is a lot of choice up here, but I particularly recommend La Rotisserie at Hotel Fahrenheit 7 for some fine food, try the Baby Lobster Role, it is divine. Alpen Art has a chilled vibe and the food is especially good too.